How would you do in an old-fashioned (mostly fictional) quickdraw duel…Old West Style? While it may seem a bit silly, getting a shot off quickly and hitting the target cleanly can be the difference between success and failure in a competition or a life-threatening situation. Timing this type of thing with a stopwatch is difficult, if not impossible, so training for that first shot speed can be difficult. Fortunately, technology has given us a new solution to an old problem, and there are now several shot timers on the market that will tell you exactly how long it takes you to react, whether it be to a threat or a start command at a competition, and break that first shot. These tools are absolutely essential for anyone wanting to work on training their speed, either from a draw to a first shot or between shots. I personally use them for competition training, as well as practicing my draw from various concealed positions. 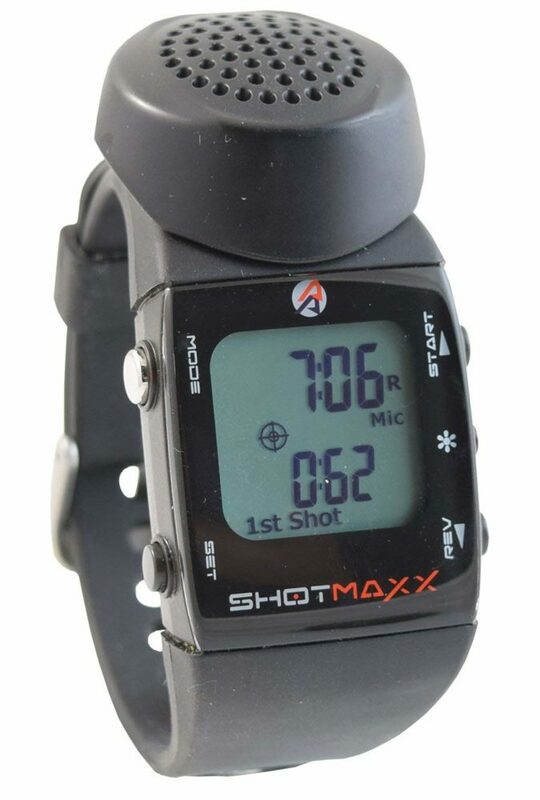 If you are interested in training your own draw, want to measure your split times between shots to work on your rapid fire or aimed pairs, or just want another reason to turn money into noise and hot brass at the range, a shot timer is the tool you need. Let’s talk about how these devices work and how to use them, and what features you should be on the lookout for. Finally, I’ll give you my preferred shot timers and why I think they’re the best of the best. How Do Shot Timers Work? The ability to “listen” for a shot. There are a number of things to consider for each of these, but that’s the basics. You press a button, after a short time you should hear a loud BEEP and then you shoot (or do various other things, but we’ll get to that in a minute). They’re fairly simple devices, and in my mind, they represent one of the best training investments you can make. Actually using a shot timer should be a fairly straightforward experience. Buttons on the device will allow you to cycle through different modes, all designed to give you various ways to challenge yourself and train. One mode simply waits a predetermined range of seconds, usually something like 3-7, and then gives you a BEEP to respond to by shooting a target. This gives you the ability to train yourself to draw and fire in response to either a threat or the starter BEEP at a range competition. If you’re training for any kind of speed, this mode is invaluable, especially if you’re training to bring your weapon to bear in a defensive situation. 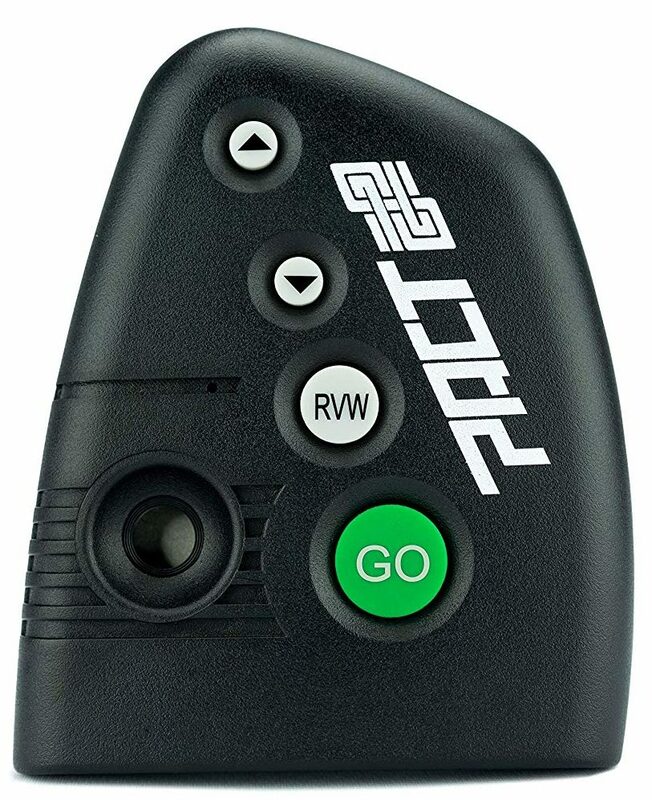 Most timers can also be set to “instant” mode and will BEEP when the button is pressed, which is great for when you have someone to help you at the range and is the mode the RSO or official timer at your local match will be using. The next mode is the “par time” mode, which is one of the oldest shot timer functions. This mode is almost always used for training your draw, the goal being for the shooter to hear the BEEP, draw, and fire before the second, ending beep that marks the conclusion of the par time. This mode is a must-have for anyone looking for a shot timer to train for defensive scenarios. Ideally, the shot timer you choose will end be sensitive enough to work for dry-fire practice as well, provided you’re in a quiet room. This makes training at home much easier, and more effective in the long run, and is perfect for working on those first-shot mechanics. This mode is also great for practicing malfunction drills, reloads, or anything else you think you may have to do under pressure. Finally, shot timers can be used to track your “split times” or the time between each shot. This is great for working on your rapid fire or increasing the cadence of your fire through a drill like the Failure to Stop drill. They can also be used to diagnose problems with your transitions from target to target, or just to see what you’re struggling with in general. For me, I found that the transition from shooting a 200-yard target to a 25-yard target was three times as long as the transition from the 25-yard target to the 200-yard target. It should be basically the same, right? Well for me it wasn’t, but it wasn’t something I would have noticed without a shot timer. This gave me direct, actionable information about what I could do to improve as a shooter, and that information is invaluable. This brings up something else that I think is important with shot timers: keeping a record. Now, most shot timers can store about 100 shots worth of split times, which is typically more than enough. However, I like to make sure my skills aren’t degrading from range trip to range trip, so I like to keep a record of my splits each time I go shooting. I have a nice little weatherproof notepad that lives in my range bag, and I use it to record my times for a few standard drills (box drill, failure to stop, El Presidente, etc), that way I can see what I need to work on. I can directly see where my training is working, or at least make sure I’m not losing my edge. For the money, I can’ think of any single investment that can improve your training at the range as much as a shot timer. Nothing else is as versatile, or as impactful. Looking at the buzzer, you’ll want to get something that can be set at least as loud as 100db, which should be audible through most hearing protection. This ensures you’ll actually be able to hear the start buzzer at the range. Next, I like ones that have a very fine sensitivity adjustment for listening to shots. This should be something that is easily adjustable, and in sensible increments rather than a “dry fire” and “range” setting. This is important for dry fire practice at home, and also for tuning the timer to only count your shots at a busy range. This is especially important for indoor ranges. If you often shoot with others, you’ll want a shot timer with an echo-cancellation function that you can turn on when you’re shooting indoors, or in a particularly echoey location like a quarry. Finally, it’s just a matter of choosing a design you like. I quite like the ones that can be worn on the wrist, but you may prefer the pager-like devices that clip to a belt or fit neatly into a shirt pocket. Now, if you don’t like the idea of spending $100 (or likely more) on a shot timer, or you just aren’t serious enough about competition to care, there is another option. There are a huge number of apps available, some free some not, that will allow you to use your phone as a shot timer. These apps are…okay. I don’t really have anything else to say about them, to be perfectly honest. Sometimes, they work great, sometimes they don’t, and they have a bad habit of picking up false inputs and marking shots. For par times, they’re pretty good, but that’s not a particularly difficult function. In the end, they’re only as good as your phone and are better suited to dry fire practice in a quiet room than anything else. Plus, you have to get either a belt clip or one of those dorky armbands that runners use to hold the phone if you want to move around, which isn’t an ideal solution. If you just want to test the idea of a shot timer without a big investment or want to get something that can do par times, the app may be worth looking into. 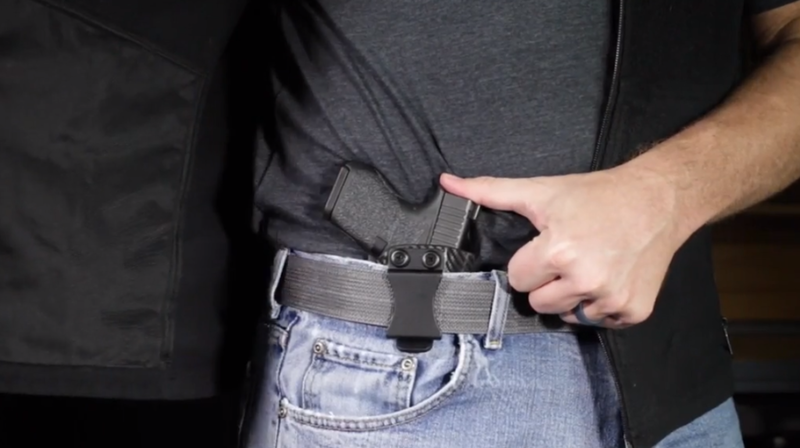 If you’re anything like me though, the idea of wearing your phone on your belt during a 3GUN stage sounds like a great way to crack your screen, so keep that in mind. Alright, thanks for making it this far (you didn’t just jump to this part, right). Time to talk about the best shot timers you can get. This little guy is by far the slickest looking of the bunch, so if that is important to you…go for it! Really though, it’s a bit smaller and a bit more handy than most other models and it does the most important functions very well. Lifetime warranty, 100 shot memory, instant, and random delayed timer functions. However, it does lack some features too – no echo-cancelation and a very awkward sensitivity adjustment. But due to that the battery lasts longer. The Shotmaxx-2 is my preferred shot timer. This is the one I use when I’m at the range alone or just want to track my own shooting and not slow down a group that’s sharing a lane or a firing line. It’s basically an overgrown watch, but is no heavier than most men’s watches, and while you sacrifice a little ease-of-use, it still has all the features of the bigger timers you wear on your belt, plus its rechargeable (and I’ve used it for an entire weekend of shooting without needing to put it back on charge). All in all, I really like this timer, but if you have trouble with small displays, you may want to try one of the others on this list. For me though, there’s nothing better. It can even export your date to your PC for digital tracking of your training. 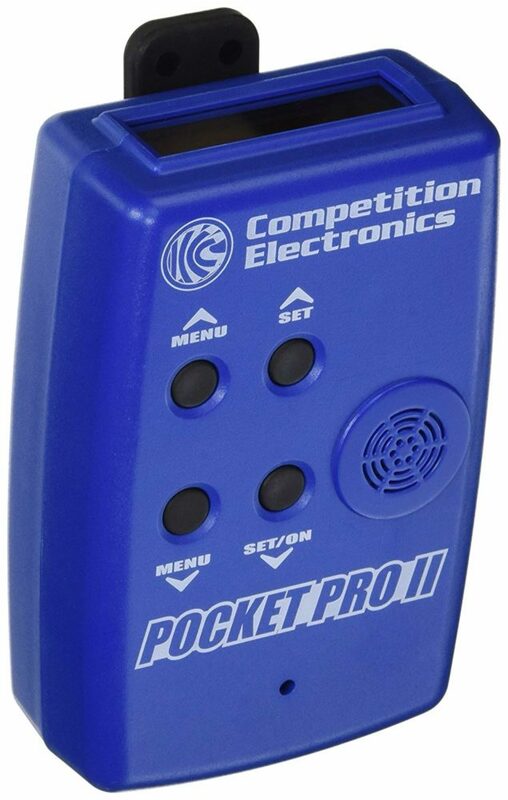 The Pocket Pro II is, as you might have guessed, the upgraded version of the Pocket Pro. It has an echo-cancellation delay and can record twice as many shots as the original Pocket Pro. While the original is still on the market, the Pocket Pro II is by far the most common shot timer out there. If you need to run a competition, the upgrade version has some nice features – but it tends to eat batteries faster. So you’ll want to bring an extra 9-volt with you to the range. What’s your take on the Pro Timer II? That does it for this one, thanks for tuning in everyone. I hope this helps you when picking out your shot timer. I thoroughly recommend one if you’re serious about competition or defensive training. What do you think of these shot timers? Let me know in the comments below! See more of our favorite guns & gear in Editor’s Picks. The post Best Shot Timers : BEEEEP! appeared first on Pew Pew Tactical.